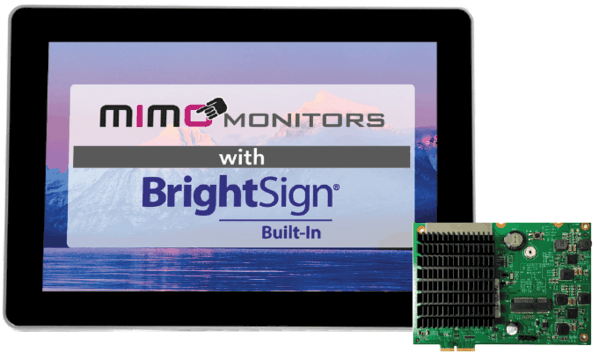 Two trusted powerhouse digital signage leaders, Mimo Monitors and BrightSign, have teamed up to introduce the brand new Mimo Vue with BrightSign Built-In. 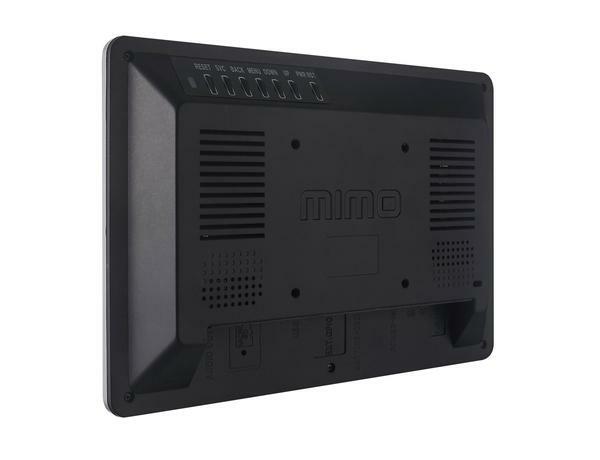 This display provides a fully encompassing, reliable, all-in-one digital signage solution that harnesses the power of the Mimo Vue technology and integrates the industry-leading BrightSign platform. The result is a high quality, easy-to-install digital signage solution that’s immediately digital signage ready, making it extremely simple to use, especially for those already reliant on the BrightSign platform. 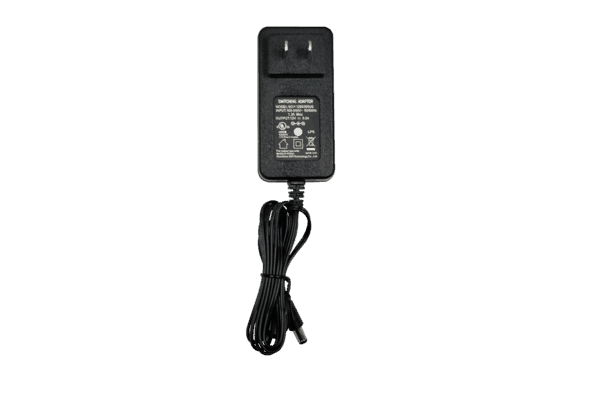 Durable, and instantaneously ready for commercial use. 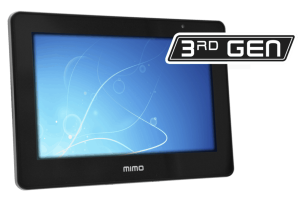 The Mimo Vue HD is the second generation in the Mimo Monitors 10.1” monitor line of brilliant and vivid premium quality displays that are sure to stand the test of time. 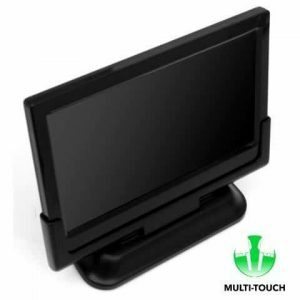 Featuring a modern zero bezel design, a nearly 180 degree viewing angle from its bright, high contrast, IPS screen, and a resolution of 1280×800 that can display in either landscape of portrait orientations, this monitor is capable of providing a solution for any desired need. 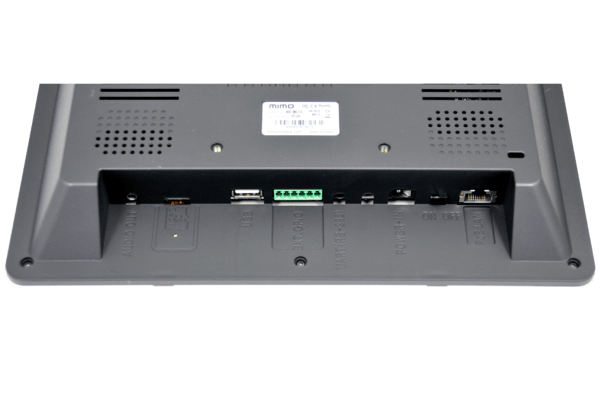 The BrightSign Built-In Digital Signage Module is an HD Series 3 class BrightSign player. 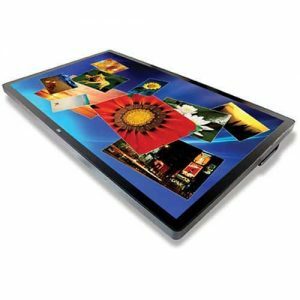 Built-in module is compatible with all BrightSign software, services, and supported CMS solutions.